The Ludwig Bun E. Carlos drum kit is a limited edition drum, it's now discontinued. The Bun E. Carlos signature drum kit in Citrus Glass Glitter finish. Click image for a larger photo. Ludwig released the Bun E. Carlos signature snare in 2009 and now Ludwig is releasing the Bun E. Carlos signature drum kit as part of their 101st birthday celabration. This is an extremely limited edition kit, there are only 50 kits being produced. Every kit will be signed by Bun E. Carlos and carry a Eun E. Carlos badge as well as the 100th anniversary Ludwig badge. 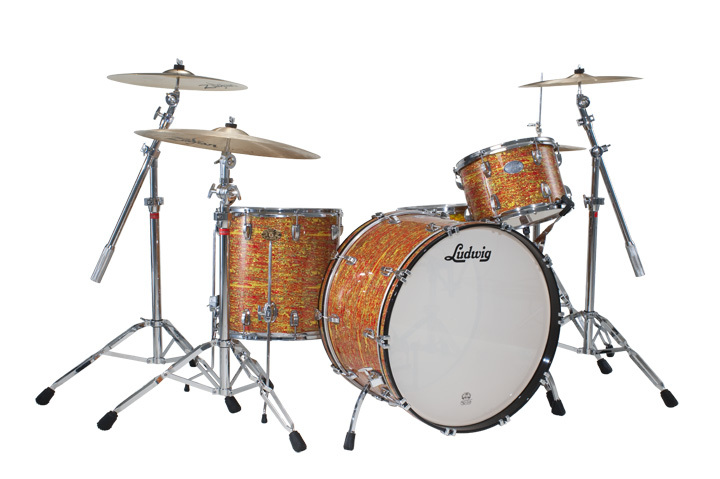 This Kit has been discontinued - Please contact us for price and availability on other Ludwig signature kits.